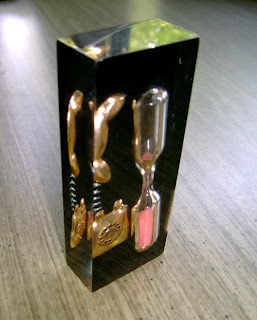 This item is an hour glass time keeper, made of lucite and glass. In the day when your teenager would hog the phone for hours at a time - and I confess I did - and there was no call waiting, or cell phone, and only one phone line for an entire home, this was a life saver. this is hilarious! i've never seen anything like it!